No gardener is immune to the agony of watching their garden getting eaten away by insects that seem invisible, rodents that steal in the night and the plant disease that appears out of nowhere. We have all been there. Whether the holes in the cabbage plants seem to get larger by the second, or squash bugs infiltrate the zucchini plants by the thousands, these unforeseen circumstances can arise at anytime for any gardener. While weather, that force of nature you have no control over, can play a factor in a lot of the plant diseases you may face, you can take some steps in helping put more of that control back into your hands, as well as rule over the harmful insects that will arise. Here are three homemade recipes you can put together yourself to help you with your efforts. This is a great recipe to use. You simply fill a burlap sack with a gallon of compost or well seasoned manure and drop it into a bucket containing 4 gallons of water. Cover the bucket and let it sit for 72 hours. Once complete, remove the burlap sack, pour the mixture into a watering can or a sprayer, and use on your vegetation. This works great as a fertilizer for your plants and when sprayed on foliage, it helps prevent many types of diseases. If you are looking for an easy to make spray that helps prevent and manage various plant diseases such as powdery mildew, then try this one. Simply mix one and a half tablespoons of baking soda, a tablespoon of vegetable oil and one and a half gallons of warm water in large container. Mix thoroughly. Make sure the mixture is well blended prior to pouring it into a sprayer. Use this right away while the water is warm. At a local garden center here where I live, they sell a commercially made organic pepper spray. These types of sprays work great for keeping a lot of insects and rodents off your vegetation. There are but two downfalls. First, it has to be applied after every time your plants are watered, regardless of whether you are doing the watering or mother nature. Second, because you will use a lot of it, sprays purchased at the store can get expensive over time. So instead make your own. Using a blender, food processor etc., mix together eight cloves of garlic, one and a half tablespoons of cayenne pepper (or another very hot pepper variety), and three and a half cups of hot water. Mix these ingredients thoroughly and allow the mixture to steep for seventy-two hours. Strain the mix as you pour it into your sprayer, then use on your plants you are trying to protect. Before you go out and purchase expensive commercial grade products, give your hand a try at these remedies and solutions for the issues you are facing in your garden. Aster yellows is a chronic, systemic plant disease caused by a bacterium-like organism called a phytoplasma. The aster yellows phytoplasma (AYP) affects 300 species in 38 families of broad-leaf herbaceous plants, primarily in the aster family. Symptoms are variable and can include phyllody, virescence, chlorosis, stunting, and sterility of flowers. The aster leafhopper vector, Macrosteles quadrilineatus, moves the aster yellows phytoplasma from plant to plant. 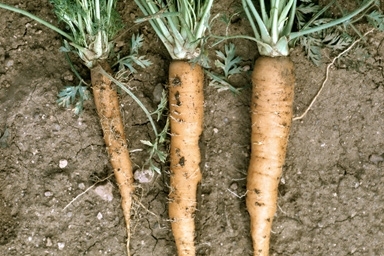 Its economic burden is primarily felt in the carrot (Daucus carota ssp. sativus) crop industry as well as the nursery industry. There is no cure for plants infected with Aster yellows. 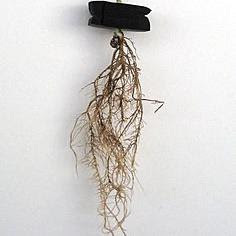 Infected plants should be removed immediately to limit the continued spread of the phytoplasma to other susceptible plants. However, in agricultural settings such as carrot fields, some application of chemical insecticides has proven to minimize the rate of infection by killing the vector. There is no cure for plants infected with Aster yellows. Infected plants should be removed immediately to limit the continued spread. 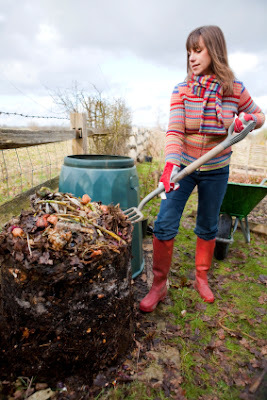 Even with a heavy dose of proper composting, many factors can lead to your plants becoming deficient in valuable nutrients. Too much rain could wash away valuable nitrogen, and not enough rain, well, could lead to a whole lot of other problems. Here are some popular signs that you should be looking out for in your vegetable garden, their causes, and potential solutions. Are the leaves on your vegetable plants light green to yellow? Does the growth of your plant seem stunted? Chances are your soil lacks nitrogen and/or sulfur. A good quick fix is adding blood meal or fish emulsion. Speaking of the leaves, are they red or purple when they are supposed to be green? Looks like your soil is low on Phosphorous. Add some bonemeal or rock phosphate to your soil. If your vegetable plants are producing fruits have you noticed if they are too small or production seems to be slow? Your soil may lack magnesium or potassium. Greensand, Epsom salt, wood ash or seaweed are all helpful answers. A lot of the same symptoms noted above will appear for the lack of other nutrients such as iron, copper, and manganese. You should get a soil reading if you starting seeing a lot of issues. Your local co-op can do this for you or they sell home kits where you can test the soil yourself. Mantidae is the largest family of the order Mantodea, commonly known as praying mantises; most are tropical or subtropical. Historically, this was the only family in the order, and many references still use the term "mantid" to refer to any mantis. Technically, however, "mantid" refers only to members of the Mantidae family, and not the 14 remaining families of mantises. Some of the most recent classifications have promoted a number of the mantid subfamilies to the rank of family, e.g. Iridopterygidae, Sibyllidae, Tarachodidae, Thespidae, and Toxoderidae, while other classifications have reduced the number of subfamilies without elevating to higher rank. 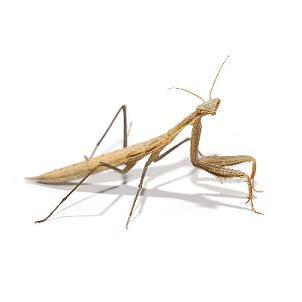 Many species are found in North America, the three most common being the European Mantis (Mantis religiosa), the Chinese Mantis (Tenodera sinensis), and the Carolina Mantis (Stagmomantis carolina). 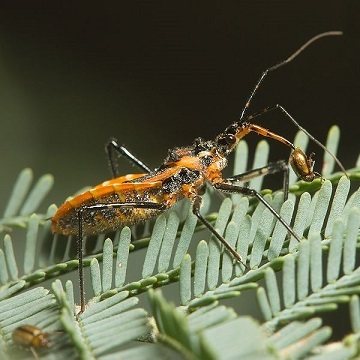 Of these, only the last is native to the continent - the European and Chinese species were introduced in the 20th century as predators in an attempt to control pest populations in gardens. Tobacco mosaic virus (TMV) is a positive-sense single stranded RNA virus that infects plants, especially tobacco and other members of the family Solanaceae. The infection causes characteristic patterns, such as "mosaic"-like mottling and discoloration on the leaves (hence the name). TMV was the first virus to ever be discovered. Although it was known from the late 19th century that an infectious disease was damaging tobacco crops, it was not until 1930 that the infectious agent was determined to be a virus. One of the common control methods for TMV is sanitation, which includes removing infected plants, and washing hands in between each planting. Crop rotation should also be employed to avoid infected soil/seed beds for at least two years. As for any plant disease, looking for resistant strains against TMV may also be advised. Furthermore, the cross protection method can be administered, where the stronger strain of TMV infection is inhibited by infecting the host plant with mild strain of TMV, similar to the effect of a vaccine. disease characterized by root decay; caused by various fungi. It is usually lethal and there is no effective treatment. Mildew on a plant that is marked by a white floury covering consisting of conidia. Controlling the disease involves eliminating conducive conditions as much as possible by altering planting density and carefully timing applications and rates of nitrogen. Since nitrogen fertilizers encourage dense leafy growth, nitrogen should be applied at precise rates, less than 70 pounds per acre, to control decrease severity. Crop rotation with non-host plants is another way to keep mildew infection to a minimum, however the aerial nature of conidia and ascospore dispersal makes it of limited use. Wheat powdery mildew can also be controlled by eliminating the presence of volunteer wheat in agricultural fields as well as tilling under crop residues. 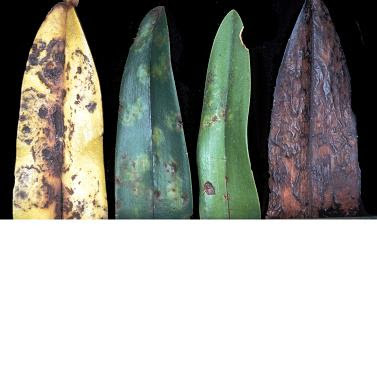 Calcium (Ca) deficiency is a plant disorder that can be caused by insufficient calcium in the growing medium, but is more frequently a product of low transpiration of the whole plant or more commonly the affected tissue. Calcium deficiency can sometimes be rectified by adding agricultural lime to acid soils, aiming at a pH of 6.5, unless the subject plants specifically prefer acidic soil. Organic matter should be added to the soil to improve its moisture-retaining capacity. However, because of the nature of the disorder (i.e. poor transport of calcium to low transpiring tissues), the problem cannot generally be cured by the addition of calcium to the roots. In some species, the problem can be reduced by prophylactic spraying with calcium chloride of tissues at risk.